St. Martin's Griffin, 9780312674441, 416pp. 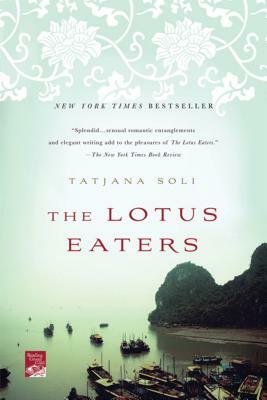 In the final days of a falling Saigon, The Lotus Eaters unfolds the story of three remarkable photographers brought together under the impossible umbrella of war: Helen Adams, a once-naïve ingénue whose ambition conflicts with her desire over the course of the fighting; Linh, the mysterious Vietnamese man who loves her, but is torn between conflicting loyalties to his homeland and his heart; and Sam Darrow, a man addicted to the narcotic of violence, to his intoxicating affair with Helen and to the ever-increasing danger of his job. All three become transformed by the conflict they have risked everything to record. In this much-heralded debut, Tatjana Soli creates a searing portrait of three souls trapped by their impossible passions, contrasting the wrenching horror of combat and the treachery of obsession with the redemptive power of love.